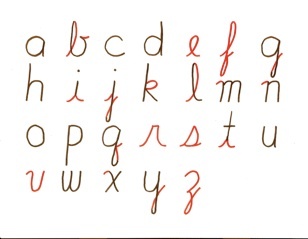 Most cursive writing today uses a method called “Print Writing” where printing and cursive are combined. 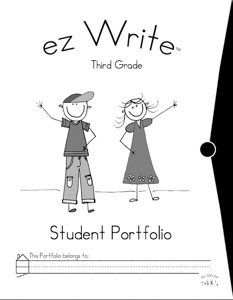 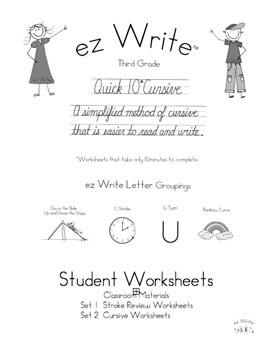 ez Write is designed around this method. 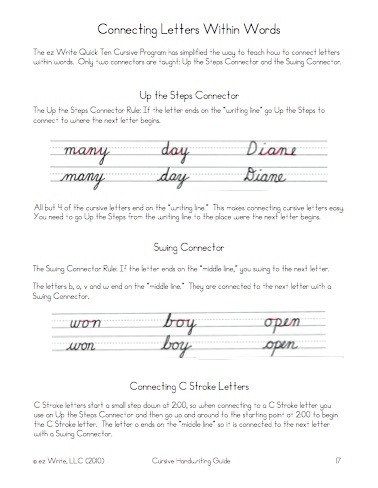 This eliminates much of the instruction time needed to teach the conventional, more stylized, uppercase letters which are difficult to read and seldom used. 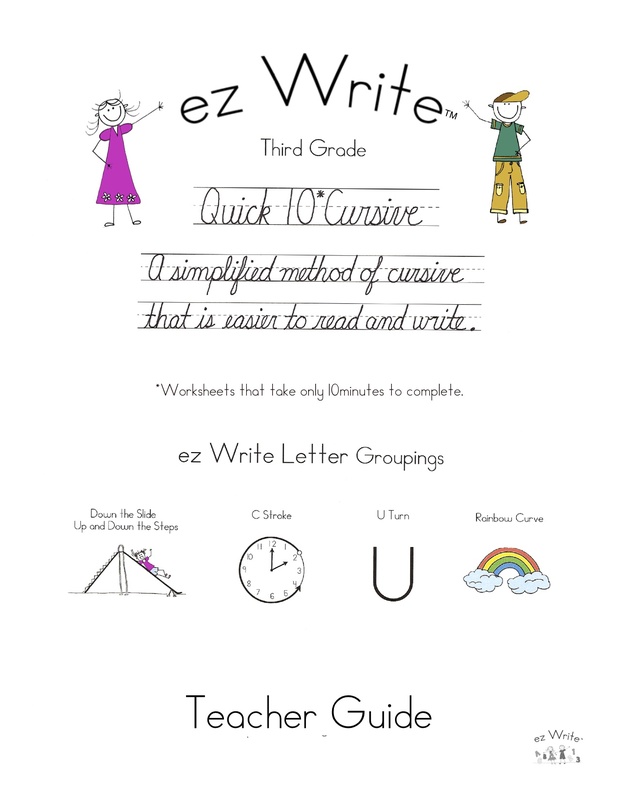 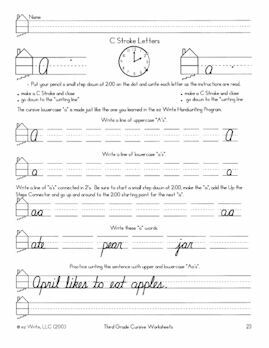 be able to learn ez Write Quick 10 Cursive. 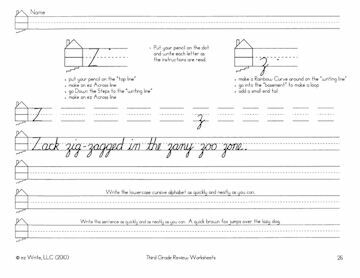 Worksheets (45 lessons) are completed first and then the Cursive Review Worksheets (26 lessons), shown on the right.